The 2019 Mercedes-Benz E-Class is a luxury vehicle that has the latest cutting-edge technology and performance features you’ve come to expect from Mercedes-Benz. Come visit your preferred Gainesville Mercedes-Benz dealership and take a test-drive in the new 2019 E-Class and see for yourself how Mercedes-Benz has taken luxury to a new level. Mercedes-Benz of Gainesville proudly serves all drivers in Lake City, Ocala, Orlando and The Villages. Mercedes-Benz deserves a class of its own when it comes to precision German engineering and innovative safety technologies. The 2019 E-Class comes with a cutting-edge PRESAFE® system which does 2 things. When PRESAFE® Sound detects an imminent collision, it automatically transmits a “pink noise” through the vehicle’s audio system that helps to pre-trigger your ears as a natural defense against any loud noises that occur with an accident. Secondly, the PRESAFE® Impulse side is an industry-first option that can help prepare a passenger from a side impact collision. The system will rapidly inflate the front seat bolster to help move you away from the oncoming collision to help reduce impact forces. Along with the PRESAFE® system, the 2019 Mercedes-Benz E-Class comes with a variety of driver assist options in the available Driver Assistance package. Also standard in the 2019 E-Class sedan is the industry leading Car-to-X Communication System. This advanced system can alert a central notification system of any potential dangers on the road, including extra wheelspin, hazard flashers and even windshield wipers. The System will then alert other vehicles with Car-to-X communication on the in-dash display, allowing them to take precautions in advance. The 2019 E-Class features an impressive panoramic 12.3-inch high-resolution central display that can automatically adjust to ambient light. The central display is your gateway to convenience, comfort, and entertainment keeping you well connected. It’s also the main center to help you adjust all the vehicles customizable settings. Utilizing linear style menus, the 12.3-inch display is very intuitive and can even be navigated by the touchpad controller on the center console. And for even more convenience, there are additional touch control buttons on the steering wheel to help navigate the center display. Come experience all the advanced technology the 2019 Mercedes-Benz E-Class has to offer at your favorite Gainesville Mercedes-Benz dealership, Mercedes-Benz of Gainesville. The 2019 Mercedes-Benz E-Class has impressive safety features and some of the most advanced technology on the road but it doesn’t lack in performance. The Mercedes-Benz E-Class can save you gas and can help reduce emissions in our environment with the standard ECO-Start® system, which will automatically shut off the engine when it is idle. Once the driver lifts his foot off the brake the engine automatically restarts and can immediately accelerate. This system can be turned on or off at the driver’s discretion. Also featuring a more versatile 9G-Tronic automatic transmission the 2019 Mercedes-Benz E-Class can seamlessly deliver power and enhances the comfort of the ride. For the sportier driver, the 2019 Mercedes-Benz E-Class offers shift paddles that can control the gears right from the steering wheel. Your favorite Gainesville car dealership has a variety of 2019 Mercedes-Benz E-Class models to choose from. Stop in today for a test drive to get behind the steering wheel now. Let us show you the 2019 Mercedes-Benz E-Class and a customer service experience designed around you. Not only do we have a large selection of New Mercedes-Benz Vehicles to choose from we also offer a variety of Pre-Owned Vehicles. And remember when servicing your vehicle, Mercedes-Benz of Gainesville can’t be beat offering a complimentary pick-up and delivery service. After scheduling your service appointment in advance, we will send a driver with a loaner vehicle to your location to pick up your vehicle and bring it in for service. Once complete the vehicle will be returned to you at no cost. 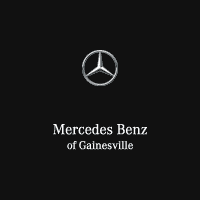 Mercedes-Benz of Gainesville is conveniently located at 4000 N Main St, and we proudly serve Gainesville, Ocala, Orlando, and The Villages, FL. * Bluetooth is a registered mark Bluetooth SIG, Inc.